Yesterday I had the privilege to meet up with five other teacher bloggers at our First Annual BC Teacher Blogger Meetup. We are a small group, but we hope to grow over time. If you are a teacher blogger, who is interested in joining us for next time, please comment below with your name and email address and I will send you the link to our Facebook group. Most of the time, the "faces" I see online are those of American teachers. And, I've always been slightly jealous when they organize their meet ups in fun place like Las Vegas. The Pantry in Coquitlam is no Venetian, but it was refreshing to meet up with some local teachers who also teach the same curriculum as I do! By chance, all but one of us teaches Grade 1 or 2 (and the lone high school teacher in our bunch is a Teachers Pay Teachers guru). The lovely Shelley Maass Rolston, of The Perks of Teaching Primary, not only organized the event but also made sure we didn't go home empty-handed! Shelley put together a bag of goodies donated by Teacher's Tool Chest, a teacher's resource store in Langley. What classroom teacher doesn't love freebies?! I can't wait to use the speech bubble whiteboard at my small group table! Thank you for a lovely afternoon ladies! I hope everyone has a fantastic start to the new school year. So great to meet you too! Love the look of your blog - it's super cute. Your classroom last year looks awesome - I've no doubt it will look just as amazing this year. Happy back to school! It was so nice to meet you! We should definitely all stay in touch and do it again! Thanks for commenting, Adria and Susanna! 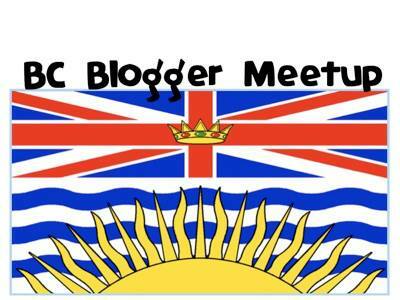 Just stumbled across this, looking for other B.C blogging teachers. I live in Fort St. John! Sounds like a great event!